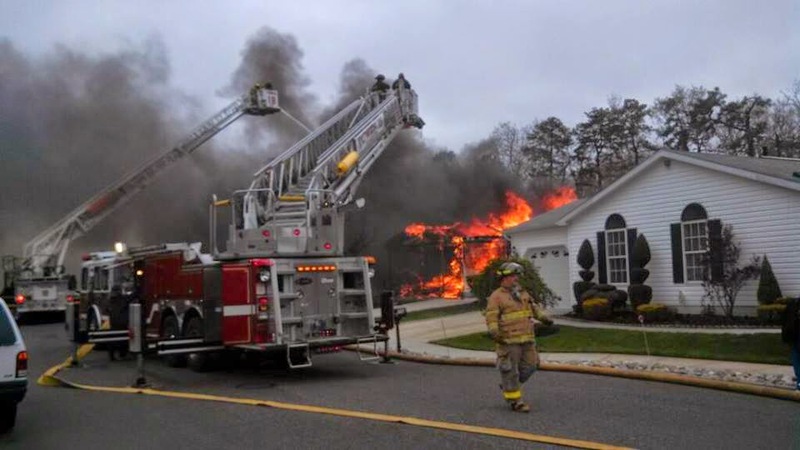 On April 29, 2014 at 2:25pm hours, the Township of Hamilton Police Department and Cologne Fire Department responded to Pebble Beach Drive in the Fairways Development for a structure fire. 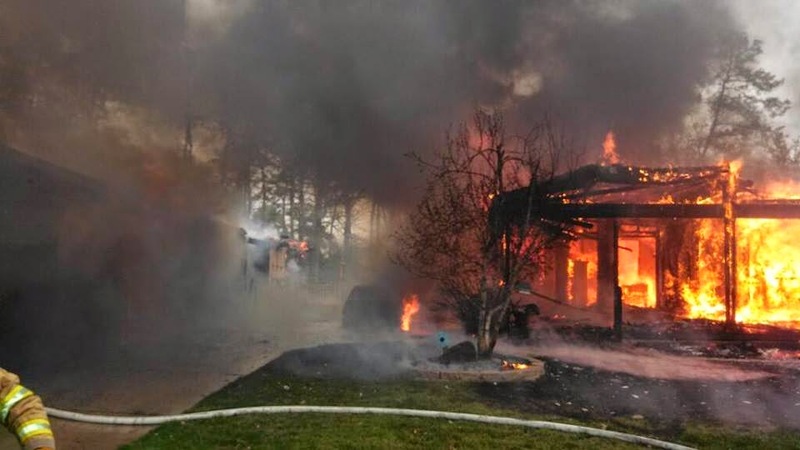 Upon arrival two homes were found fully engulfed in flames and surrounding homes sustained minor damage. The fire was extinguished by responding firefighters and no injuries were reported. Family members affected from the fire were being assisted by Red Cross, Salvation Army and Atlantic County Emergency Management. The fire is under investigation by Ofc Pahang, Det Robison. Anyone who may have witnessed anything or have any information pertinent to the investigation are asked to contact the Township of Hamilton Police Department at 609-625-2700 ext. 578. Also assisting at the scene were Mays Landing, Laureldale, Cardiff and Germania Fire Departments along with the NJ State Forest Fire Service. Township of Hamilton Rescue Squad and Air Force also responded at the scene.